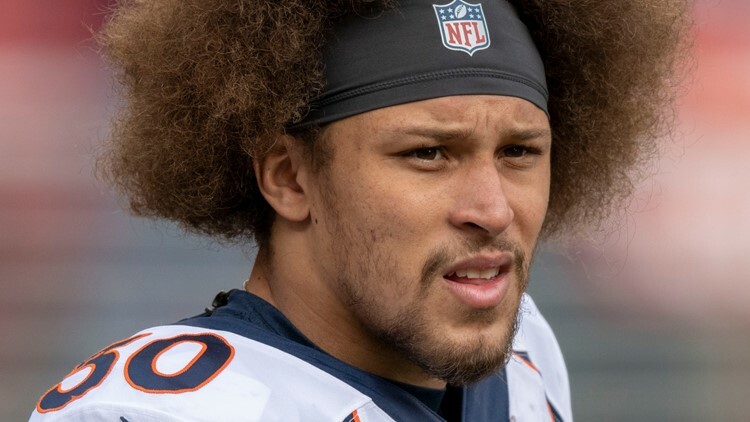 Denver Broncos running back Phillip Lindsay (30) before the game against the San Francisco 49ers at Levi's Stadium. The Denver Broncos fell to the San Francisco 49ers, 20-14. The Broncos' record is now 6-7 in 2018. SANTA CLARA, Calif. — The Denver Broncos are hungry for a fourth-straight victory. Now on a three-game winning streak, the Broncos (6-6) are at Levi's Stadium to battle the San Francisco 49ers. The Broncos and 49ers kick off at 2:05 p.m. MT. Join the game day conversation with 9NEWS and the 9NEWS Broncos Insiders in our chat below or on social media with the hashtag #WeAreBRONCOS. Broncos fans, upload your fan photos to http://yourtake.9news.com or email to yourtake@9news.com. You may see your photo featured on 9NEWS!